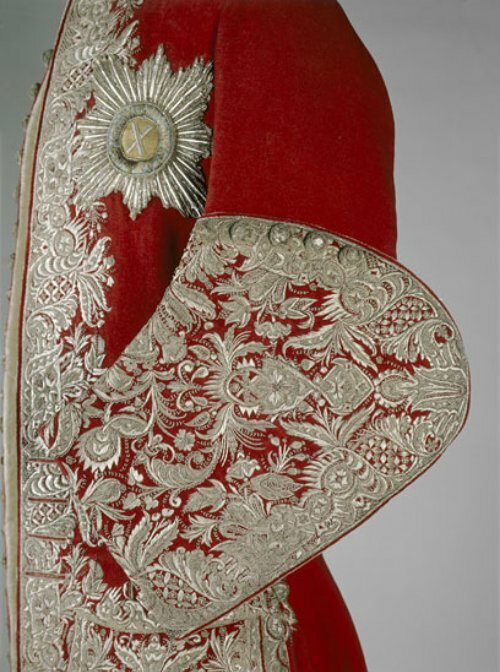 A red wool suit in the wardrobe of Peter II, dating from 1727-1730, is richly embroidered in silver thread, characteristic of fashionable men’s dress for royalty and aristocracy throughout 18th-century Europe. Peter II was only 14 when he died. Most of the young ruler's clothes were made in France, as Russia had not yet developed the tailoring and textile-making expertise required to make western fashions. Many of the fabrics — silks, wools and linens — were imported from well-known European textile manufacturing centers. The coat bears the Star of the Order of St. Andrew, also worked in silver thread. 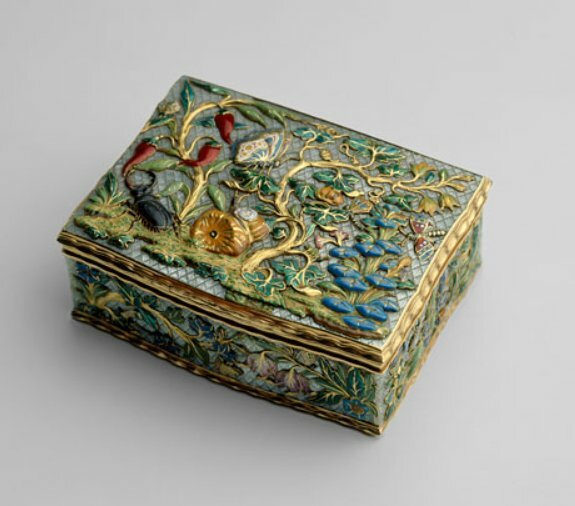 The underside of this snuff box (1754-61) bears the portrait of Grand Duke Peter Fedorovich, later Peter III, and comes from the collection of the Shuvalov family. An art collector and founder of the Russian Academy of Arts, Ivan Ivanovich Shuvalov was a favorite at the court of Empress Elizabeth Petronova. In 1917, a descendent of the family gave the box to the Moscow Armory.